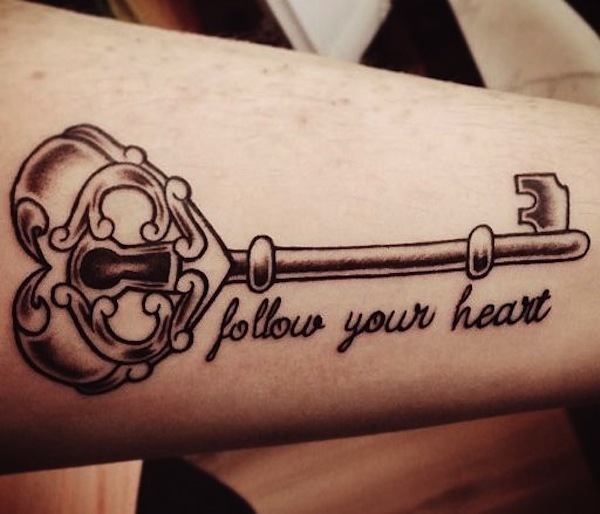 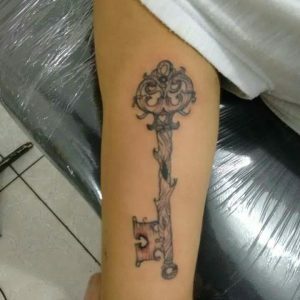 Key tattoos are a unique form of tattoo design bearing numerous symbolic meanings. 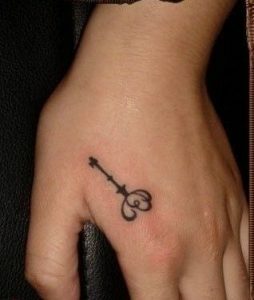 It is widely popular among both men and women. 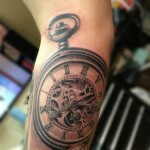 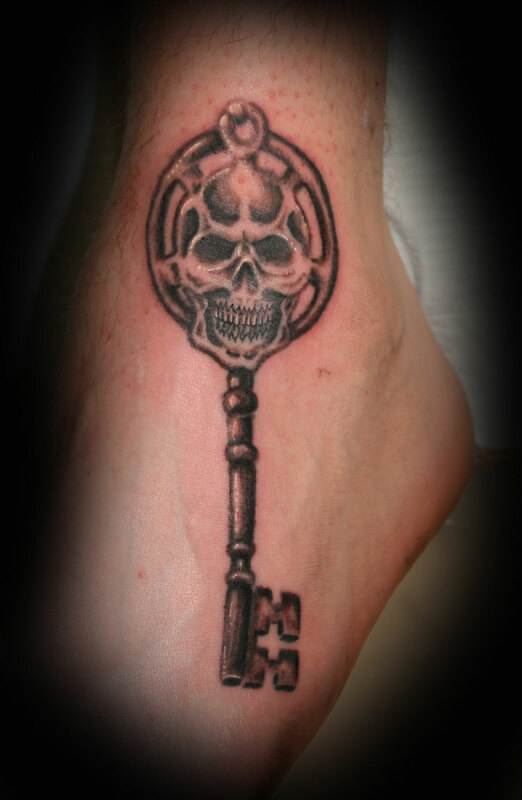 Key tattoos can be sported alone or they can be combined with various other elements and symbols. 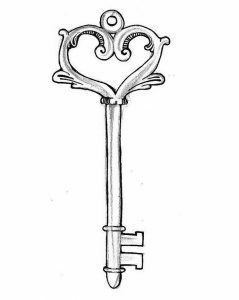 Keys are an essential part of our day to day lives. 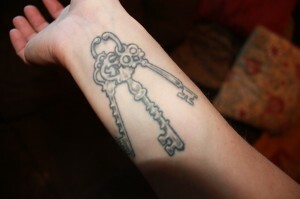 They are used to open locks, open doors or any other object that is locked. Alternatively, keys are also used to lock things. Hence key tattoos are used to convey a broad range of symbolic meanings such as mystery, freedom, a sense of purpose, imagination, possibility, opportunity, imprisonment, responsibility, capability, fantasy, secretiveness, security, ownership and the unknown. 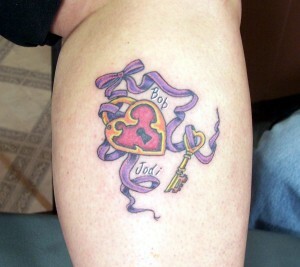 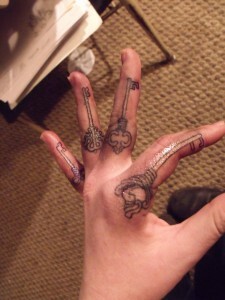 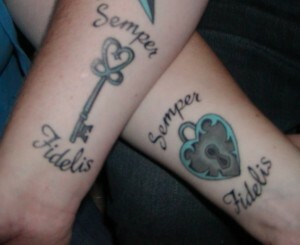 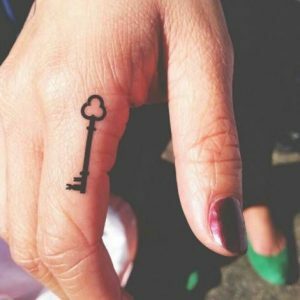 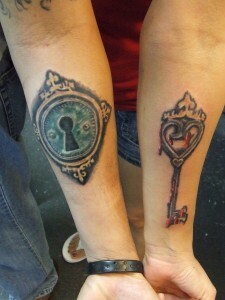 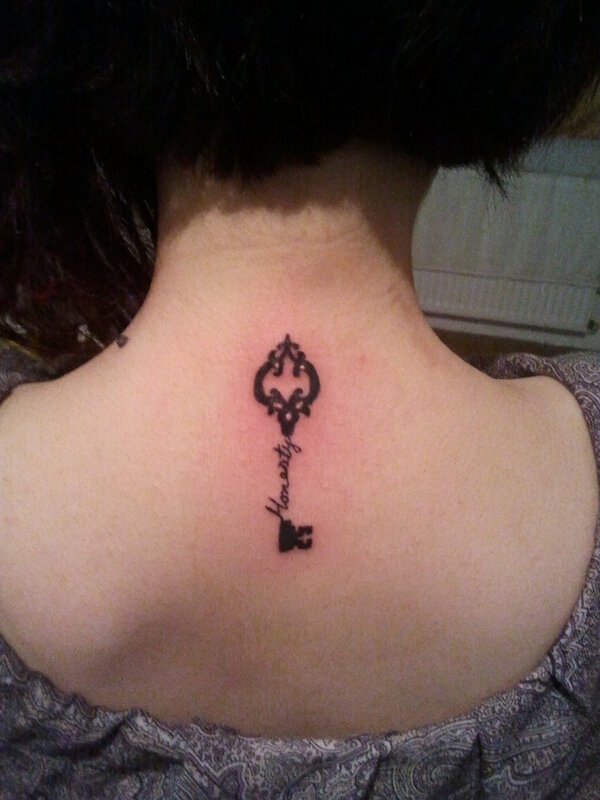 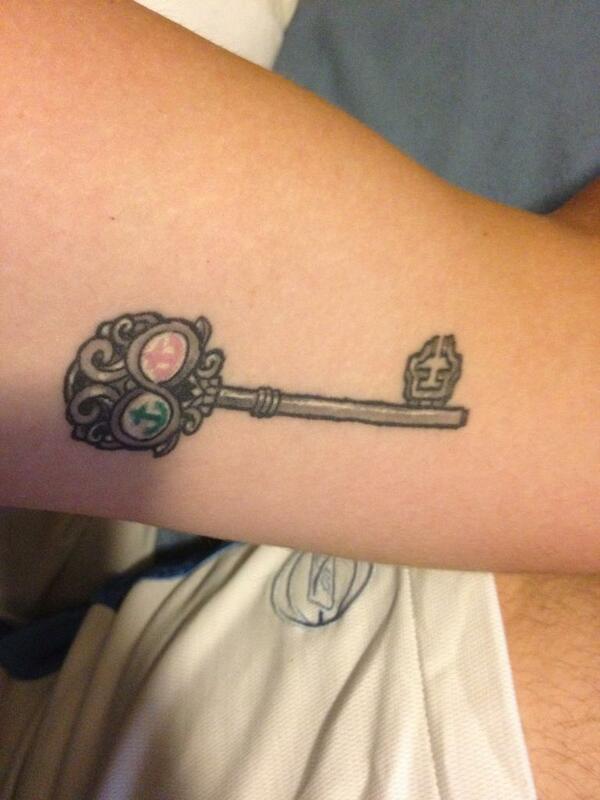 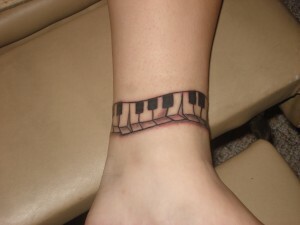 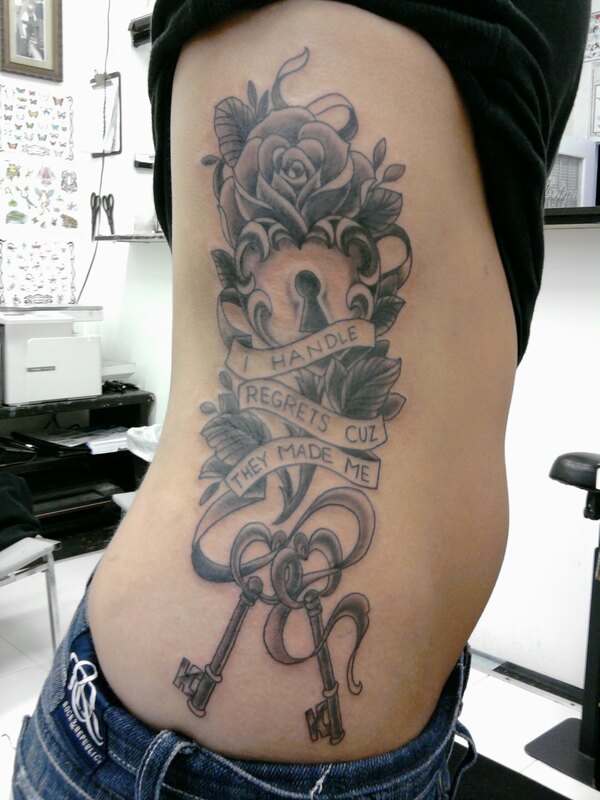 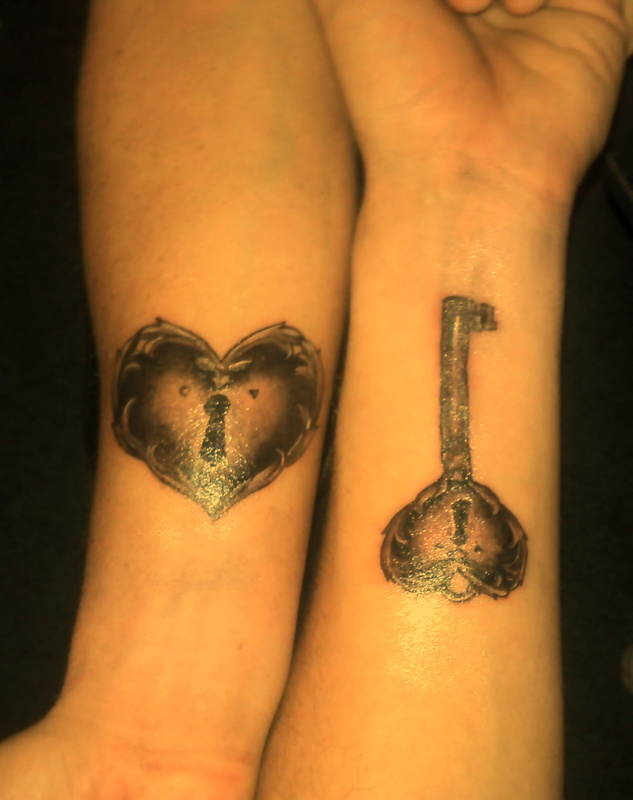 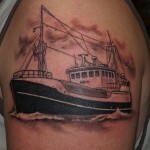 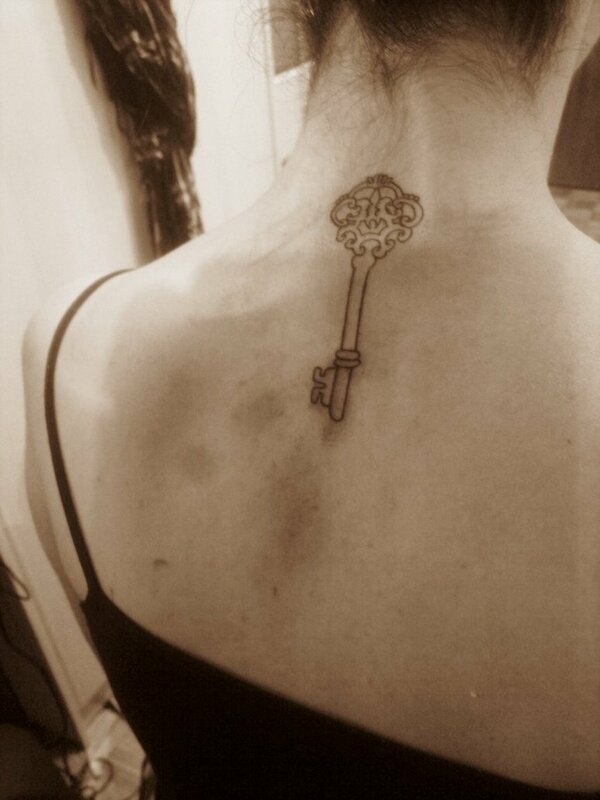 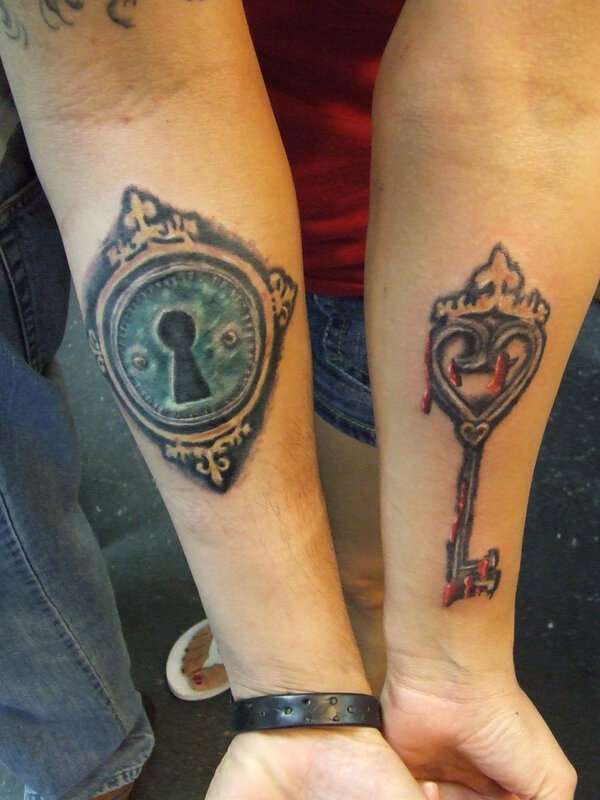 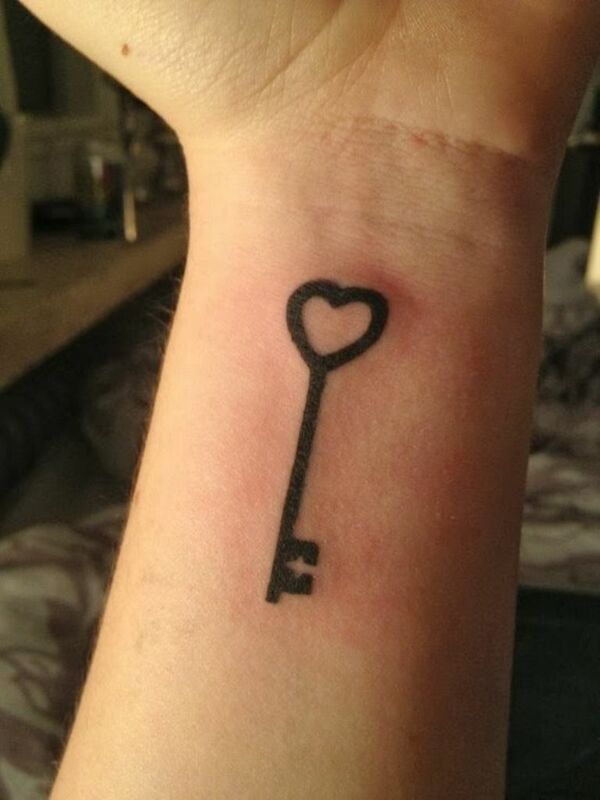 Key tattoos can be done in a number of ways. 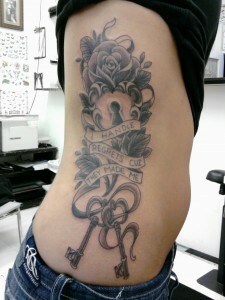 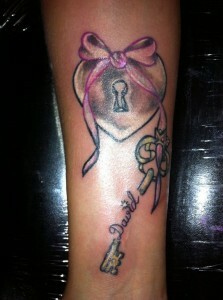 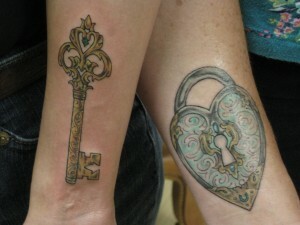 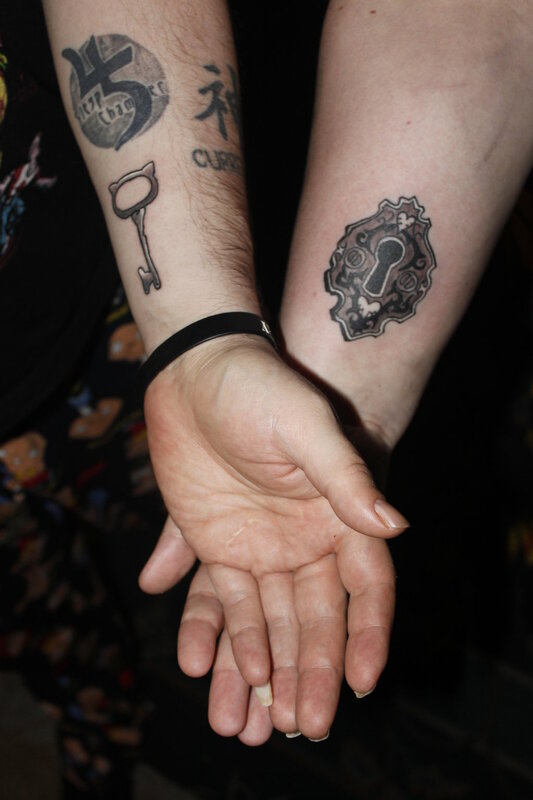 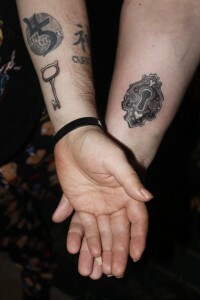 While one may choose to wear only a single key as a tattoo, a lock and key design is also equally popular. 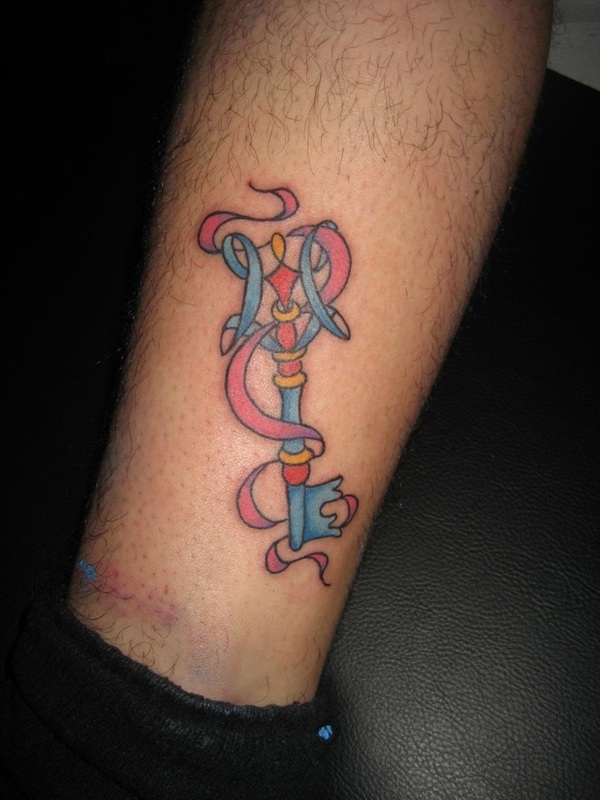 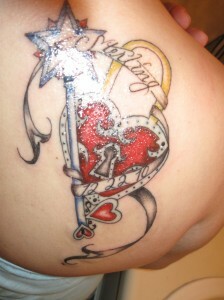 Other symbols such as stars, ribbons, hearts and chains can also be incorporated in a key tattoo design. A very popular design is one where the key is drawn as a part of a bracelet, anklet or a necklace. 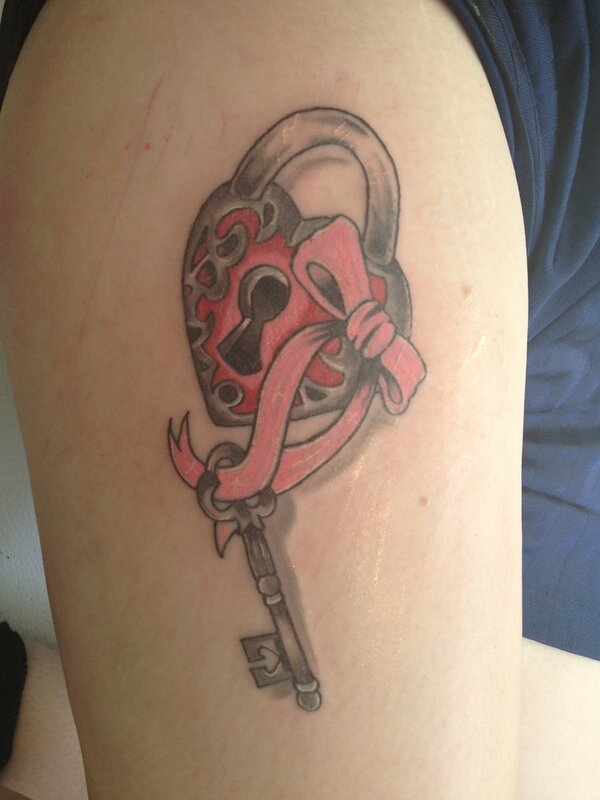 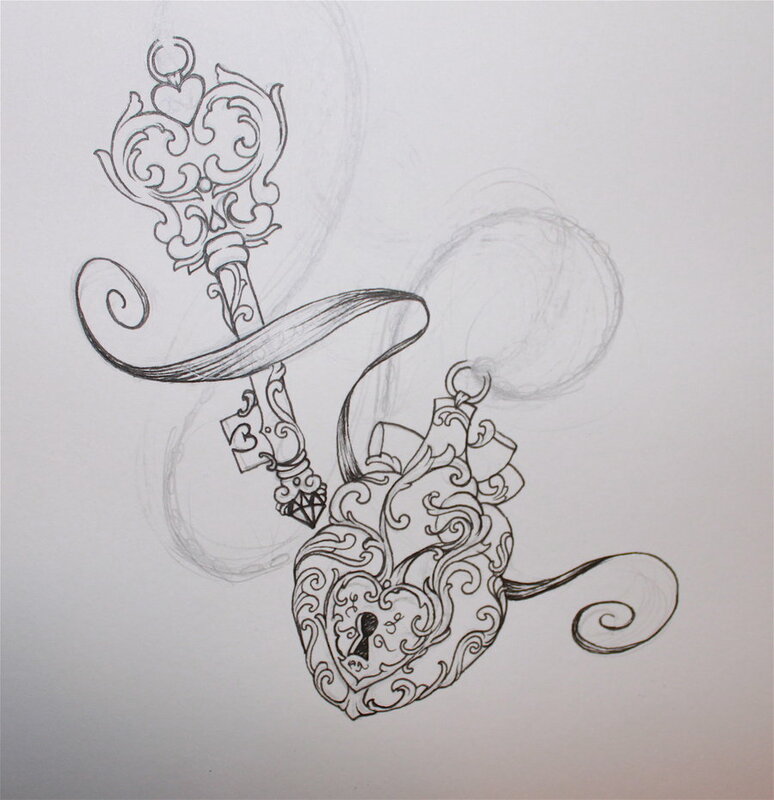 A heart-shaped lock with a key tattoo can have a romantic connotation. 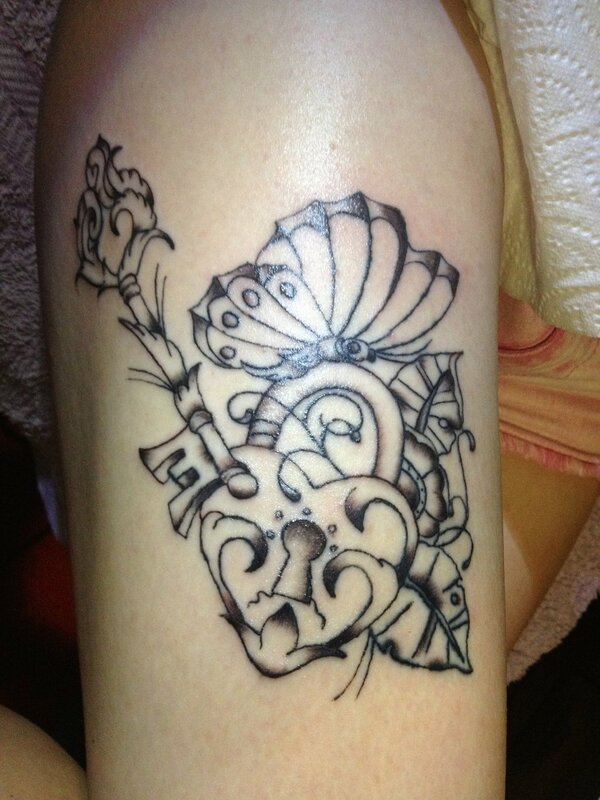 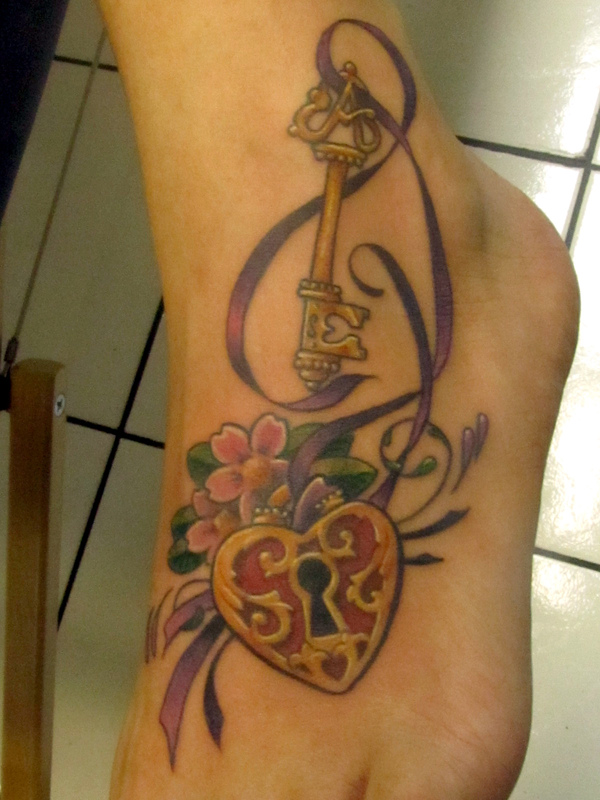 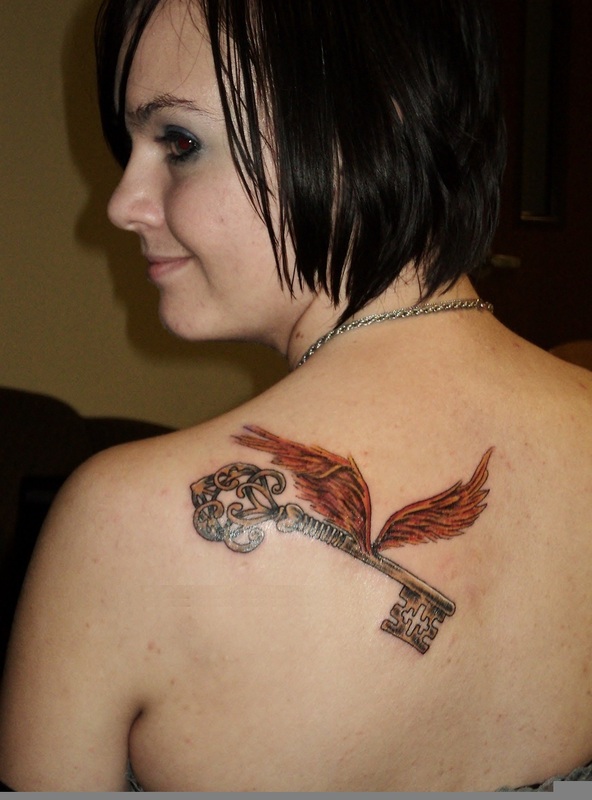 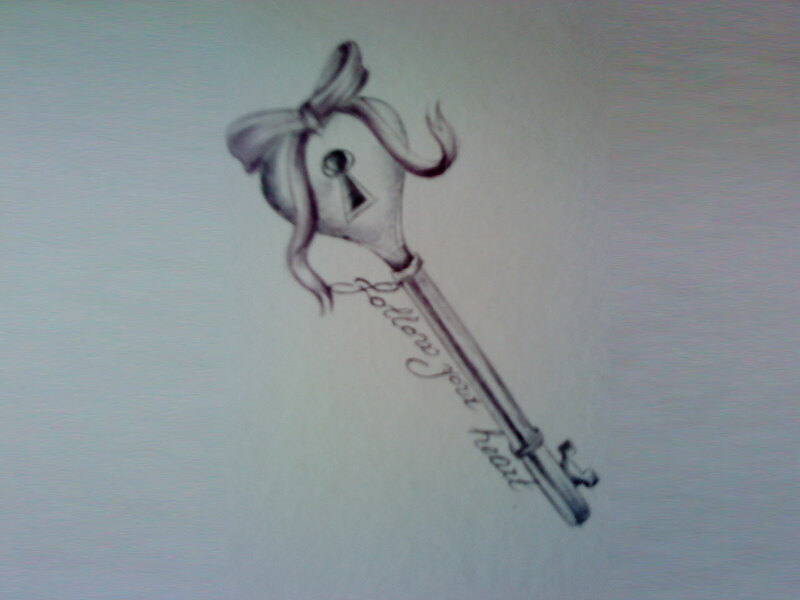 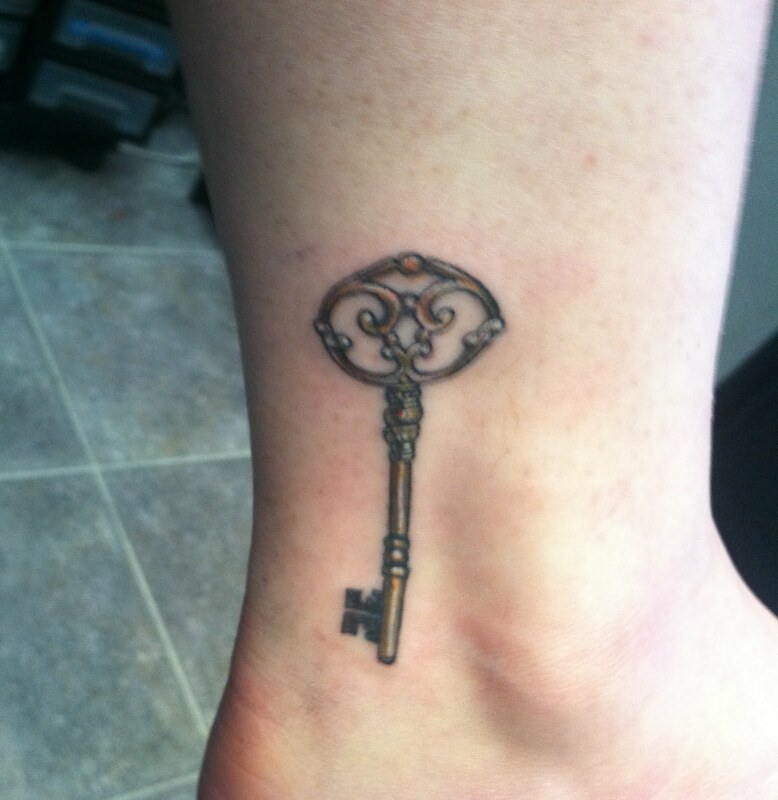 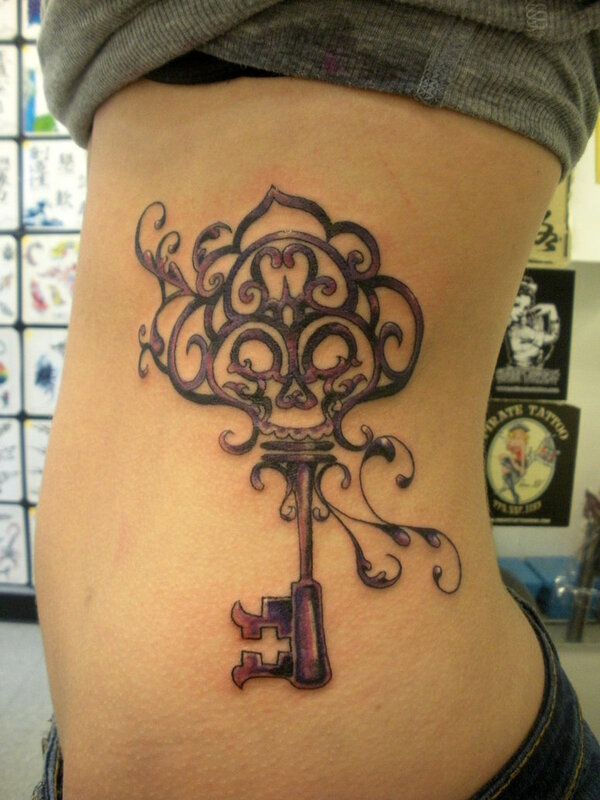 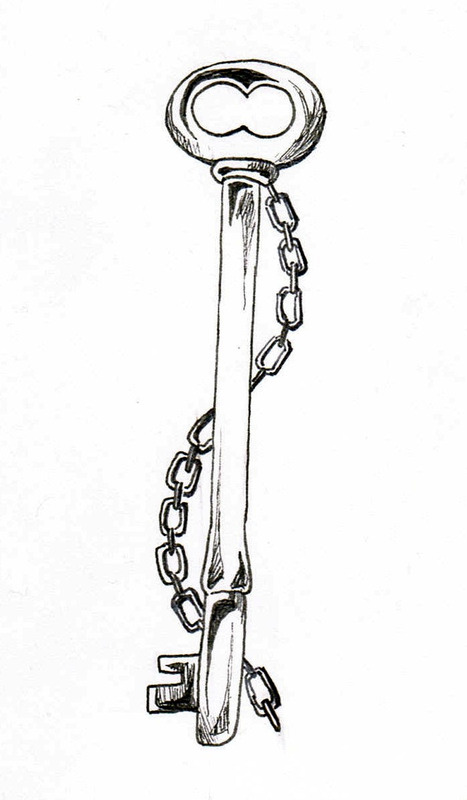 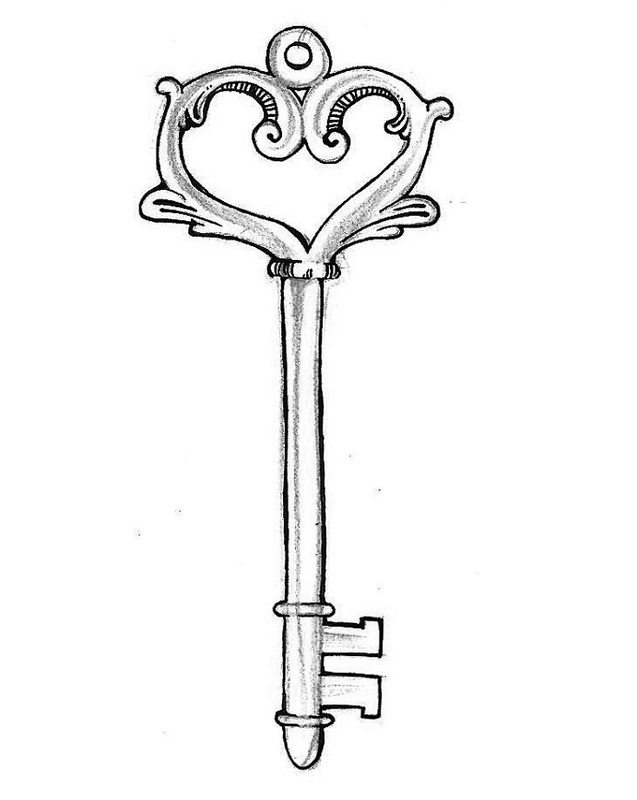 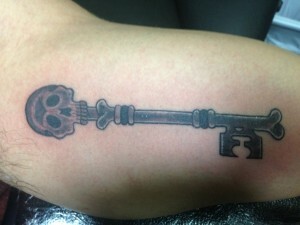 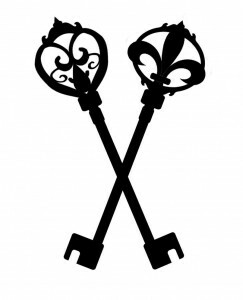 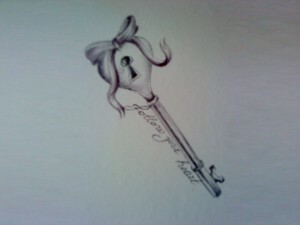 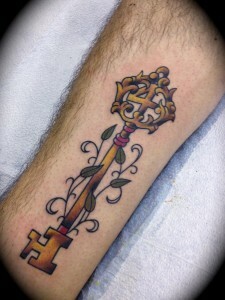 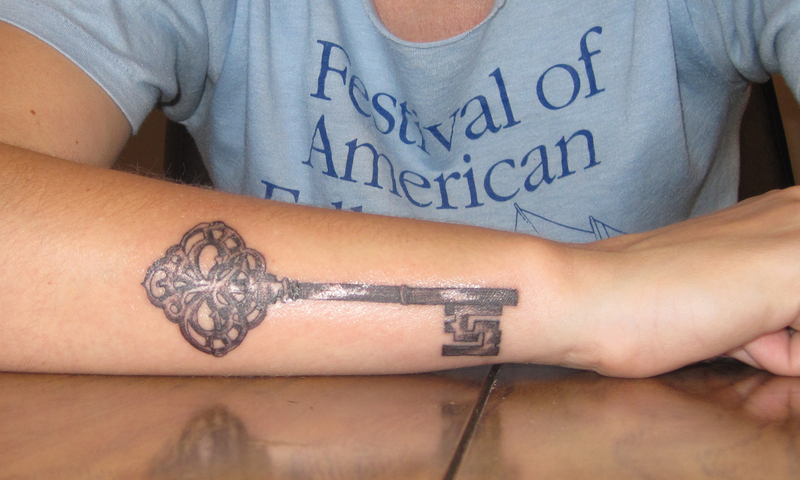 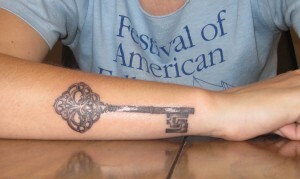 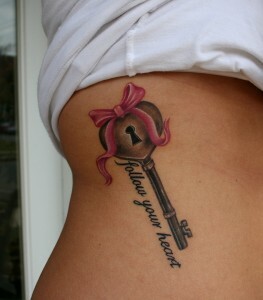 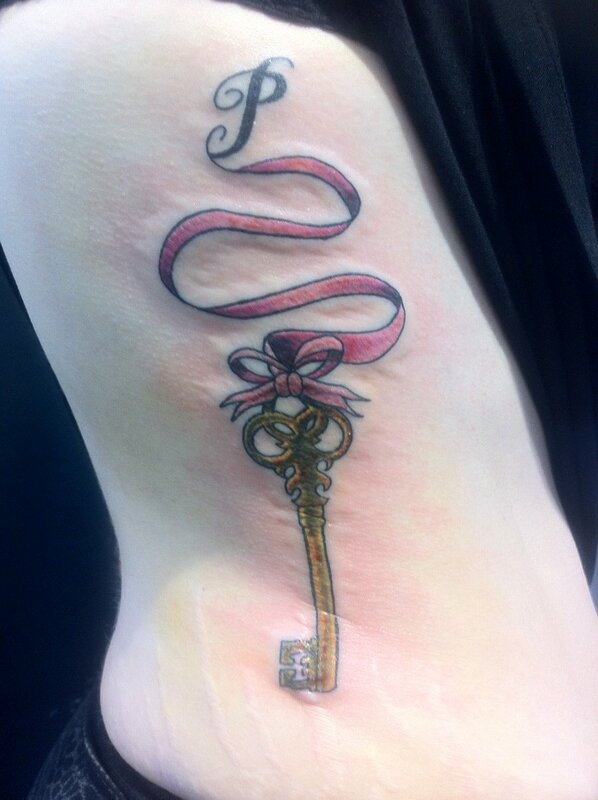 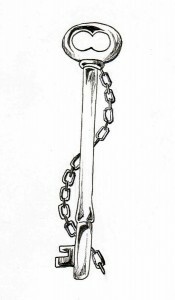 A skeleton key or a key with feathers are also popular choices for tattoo designs. 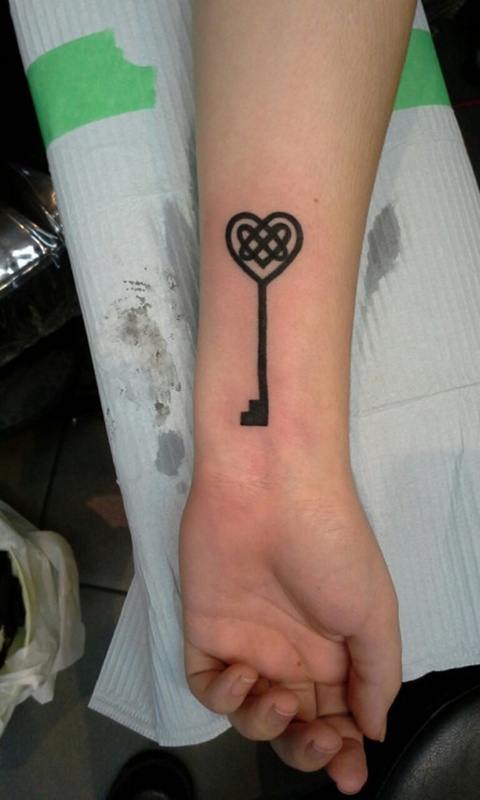 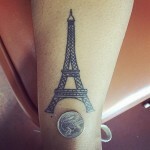 A great collection of key tattoos is presented in this site for you to try on.